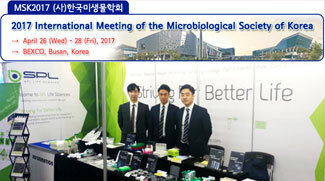 SPL Life Sciences participated in the ‘MSK 2017 - International Meeting of the Microbiological Society of Korea﻿' held at BEXCO during 26 – 28 April, 2017.At MSK, we had the opportunity to exhibit various products of SPL including few newly produced ones and to demonstrate the technical expertise of the SPL products.We, SPL Life Sciences, would like to thank everyone who visited our booth at this year﻿’s MSK.We will keep our commitment to innovate up-..
SPL Life Sciences had successfully participated in “ARAB LAB 2017” held in Dubai, UAE during March 20 - 23, 2016.We would like to thank everyone for visiting our booth (Booth no. 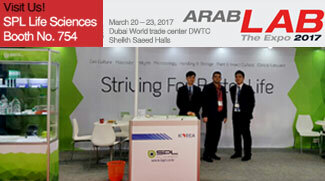 754) at this year’s ARAB LAB.It was a great pleasure for us to meet you and have the opportunity to introduce a wide range of our products to our valuable customers.We look forward to seeing you again in ARAB LAB 2018 next year! 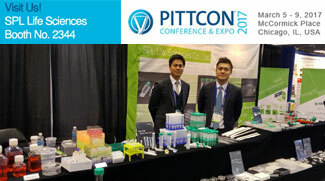 SPL Life Sciences had successfully participated in "PITTCON 2017" held in Chicago, USA during March 5 - 9, 2017.We would like to thank everyone for visiting our booth (Booth no. 2344) at this year's PITTCON.It was a great pleasure for us to meet you and have the opportunity to introduce a wide range of our products to our valuable customers.We look forward to seeing you again in PITTCON 2018 next year. 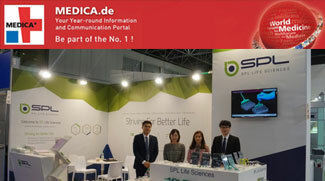 We, SPL Life Sciences, participated in "MEDICA 2016" held in Dusseldorf, Germany from November 14~17, 2016. Thank you for visiting our booth at this year's MEDICA 2016. In appreciation for all of our valuable customers, we promise to improve ourselves with a wide range of products and better quality. We hope to see you again at the MEDICA 2017. 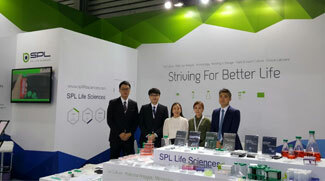 SPL Life Sciences participated in “Analytica 2016” held in Shanghai, China during October 10 – 12, 2016.We would like to thank you for visiting our booth (Hall N1.1702) at this year’s Analytica.It was a great pleasure to meet you and have the opportunity to introduce a wide range of our products to our valuable customers.We look forward to seeing you again in Analytica 2018!